I’m just going to put it out there, in 2017, I lost almost near all respect for my body and my health, I didn’t care what I ate, how much I ate and when I ate. My activity levels were also near to zero. The combination of both meant I left 2017 3 dresses up and physically unfit. Walking up the hill I live at the very bottom of, was a nightmare. 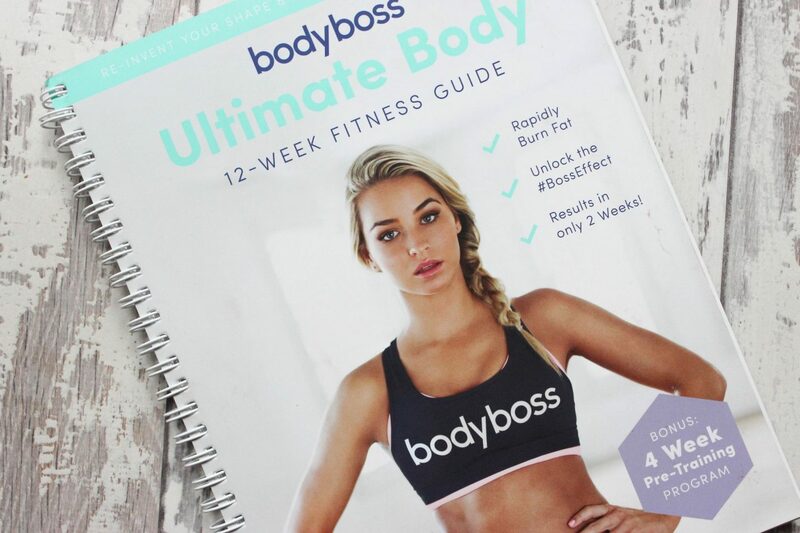 Everything was just harder but I’m gym shy and pretty much inexperienced in fitness So when I heard about BodyBoss and their Ultimate Fitness Guide I had to give it go! 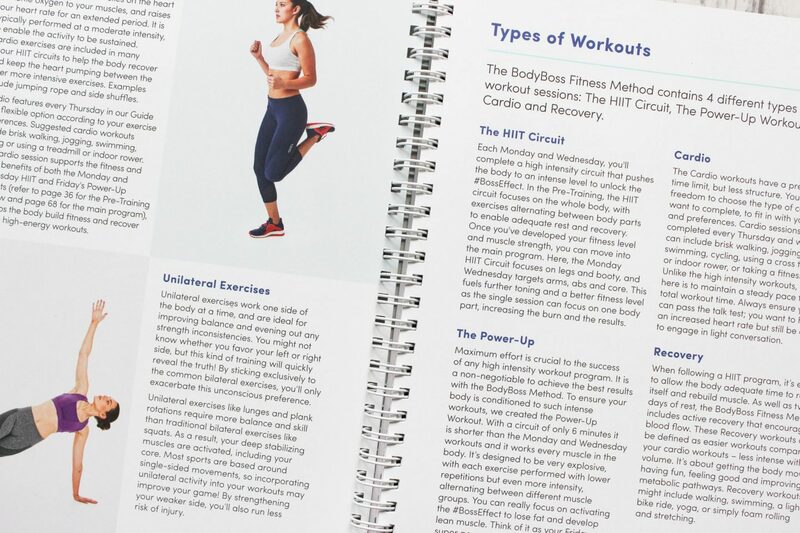 The guide itself provides all the information and instructions you need – almost like a personal trainer…but in a guide and I kinda love that! The first thing I did when I got the guide was read through it and I would recommend everyone doing this. 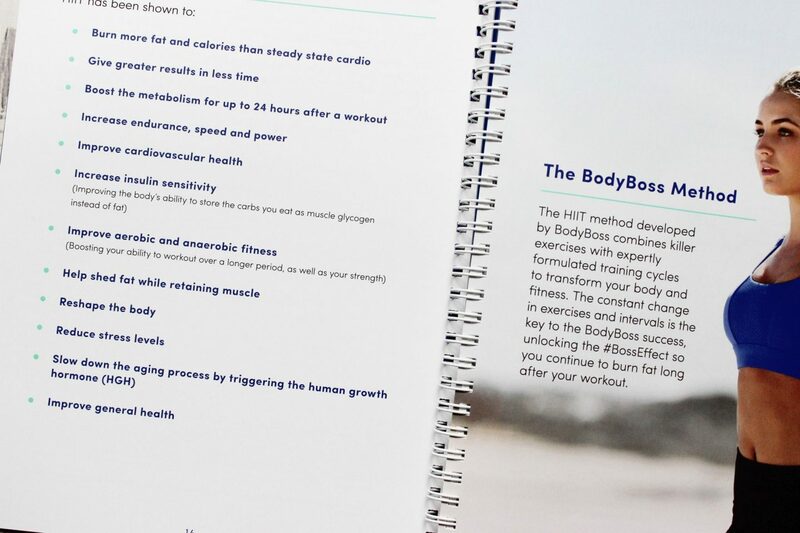 It helps to not only give you an idea of the structure of the programme (4 weeks Pre-Training and 12-week step-by-step training) and what you can expect. After reading I was pumped to start! 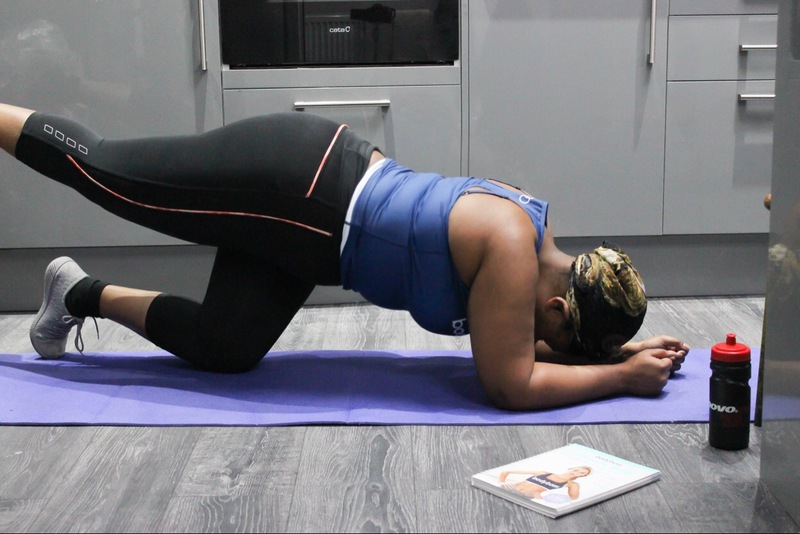 I was happy to see that you didn’t need a lot to do these workouts, merely a mat and some space around you, which meant most of my workouts were either done in my kitchen or my garden as both were big enough. I loved the fact that I could do these workouts so easily at home as I am always so self- conscious at the gym. One thing I learned almost immediately is that this is not for the faint-hearted, you really need to have your mind focussed on your goal to see you through. On my first day, just the warm-up and stretches nearly took me out. I was stretching muscles that had NOT been stretched for almost a year and man – did I feel it, but you know they say – no pain, no gain. I persevered through, taking breaks when I needed and giving myself time because boy, was I UNFIT! Each workout in the Pre Training is approx 24 minutes, 3 times a week, which isn’t a lot but when you first start, especially if your fitness levels were anything like mine, those 24 minute can turn into 44 minutes with your breaks but because I was at home and in a space I was comfortable with, this didn’t phase me as much and I think that’s important – being in comfortable space and working to your own time when you’re exercising. 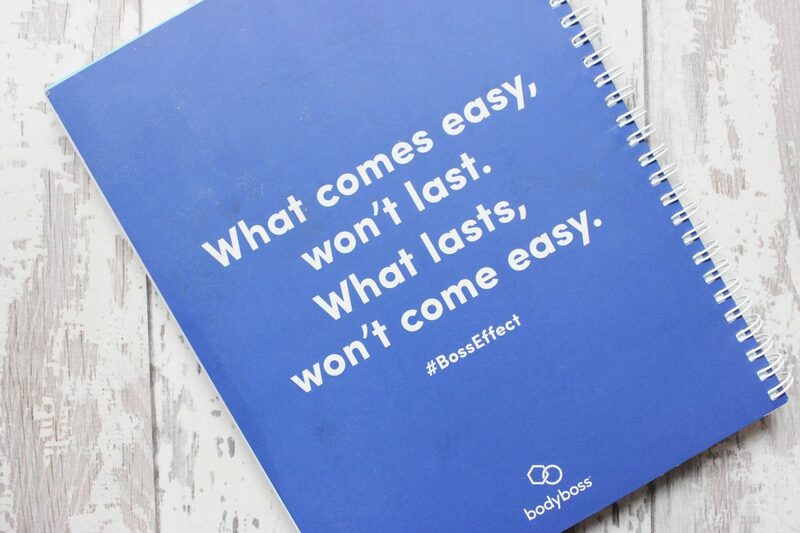 Now, this is no quick fix and I think thats important to say, I’ve put on a considerable amount of weight in a short space of time due to medication, inactivity and poor eating so I have quite a bit to shift BUT I have noticed differences since I started the BodyBoss programme. For one, I have a little less overspill when wearing my jeans we thank God, my endurance also improved a little. 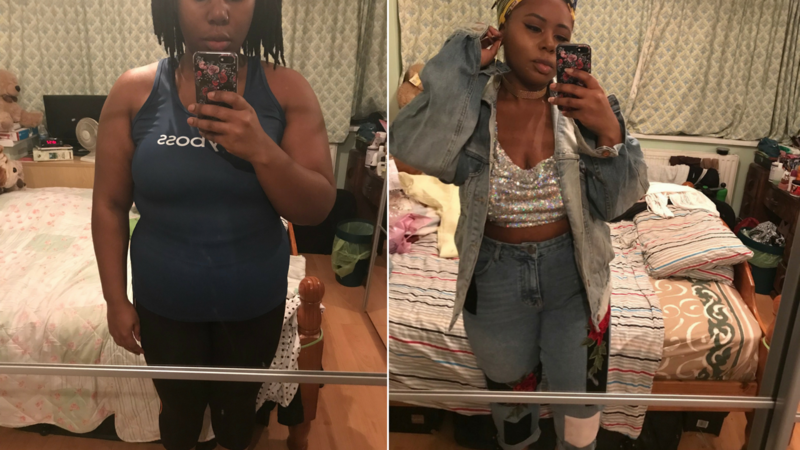 For my first work out just stretching took its toll on me – now I can complete circuits without taking 20-minute breaks in between (yes – I was that unfit), I’ve also found that my confidence has gone up a lil, before I wanted to hide every part of me neck down but I brought a risque top and I actually loved how it looked! 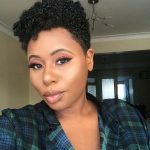 This post is sponsored by BodyBoss but all opinions are honest and my own. For more information please see my Disclaimer page. Thanks for the recommendation Nat. 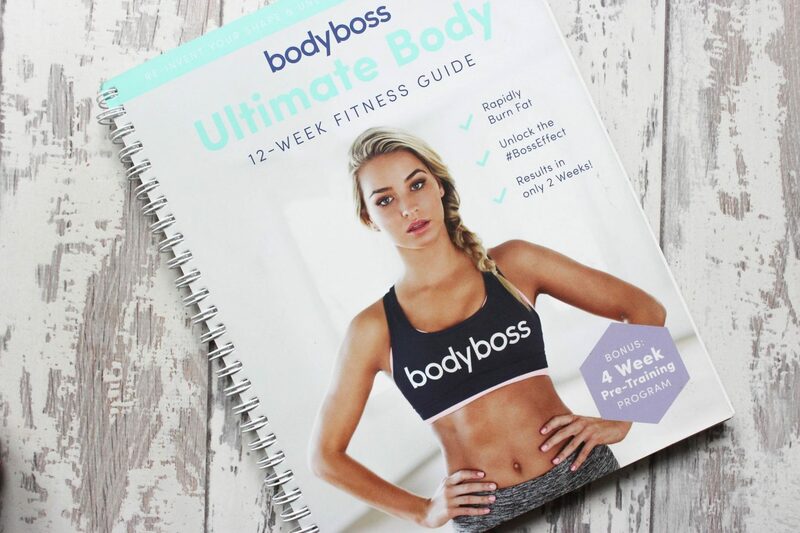 It is really hard to find decent non gimmicky fitness programmes. Will be trying this in the future.